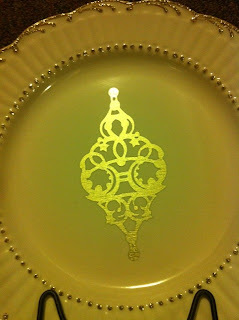 2) Using the gold vinyl, cut a tree out that will be just 1” smaller than the center of your plate. 3) Weed out all of the unnecessary vinyl pieces, leaving behind only the tree image. 4) Press transfer tape onto your image. Peel image away from the vinyl backing. 5) Press image onto plate and using a bone folder, or popsicle stick, rub vigorously to transfer your image onto the plate. Remove transfer tape slowly. If image pieces peel up with your tape, press down again and firmly go over that area again. 6) Once you have your image in place, do the same technique with your saying and place it on top of your tree image. 7) Use your gold Stickles to outline any raised or decorative areas around the plate edge. Let dry completely. Drying time varies with the temperature conditions, but usually is set in about an hour. This is a GREAT way to give a personalized gift without looking homemade. 1) Apply 4-5 drops of light green alcohol ink to your applicator pad. 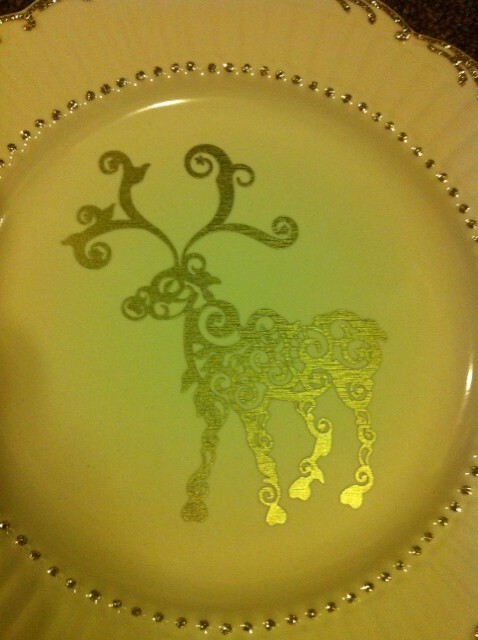 2) Dab ink around the entire surface of the plate. 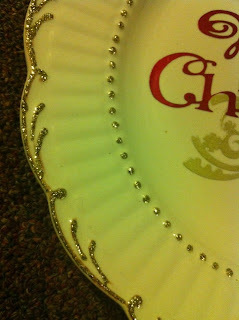 4) Apply silver ink in the same manner, only do not seek to apply to entire area. You want the silver to be randomly places so as to give the effect of marble or granite when you are finished. NOTE: if you do not like the look when you are done, you can simply spray with alcohol and rub with a paper towel to remove the ink and start over. 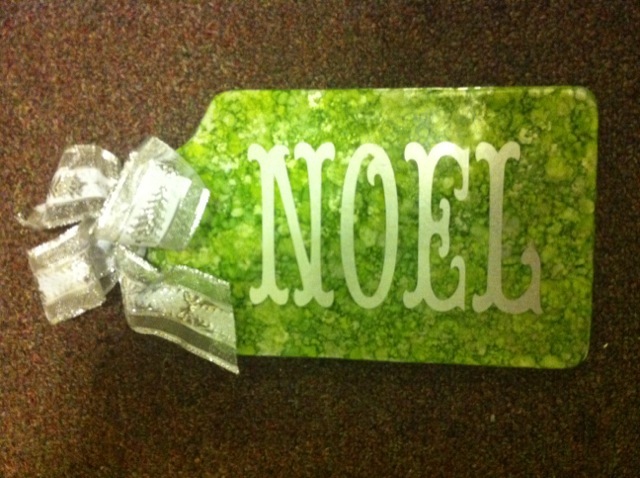 5) Using the silver vinyl, cut your letters “NOEL”. 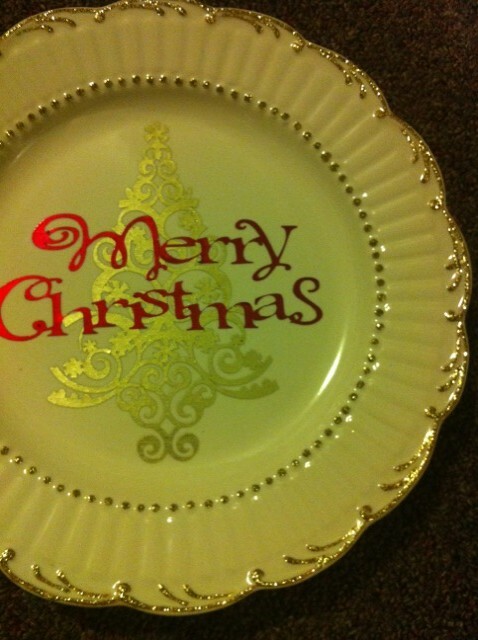 Weed out any unnecessary pieces of vinyl, apply transfer tape, peel letters away, press onto chopping plate and burnish with bone folder. Peel back transfer tape. 6) Add a bow to the side and place into a metal easel.